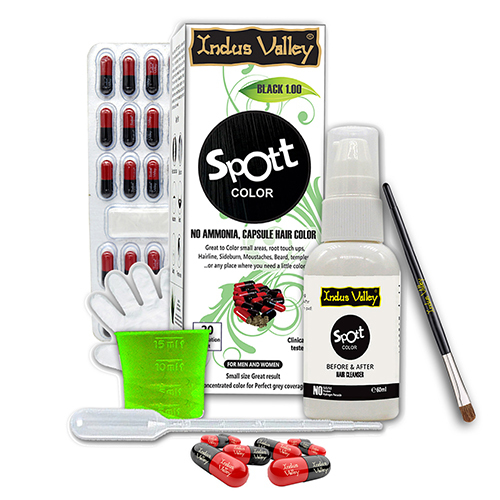 Spott hair color comes in the form of a small-sized capsule and is used to cover smaller areas. 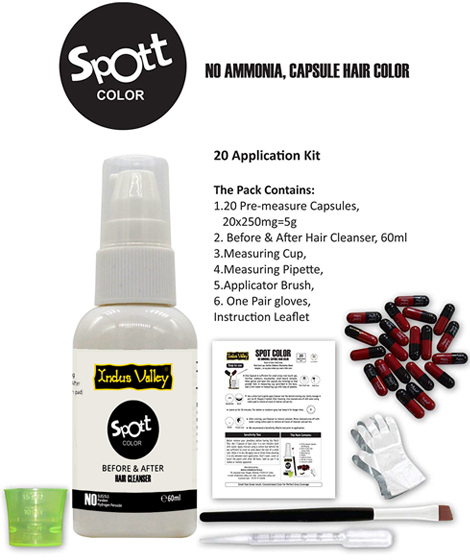 Spott hair color is designed by keeping in view all types of scalp conditions. It can be used by both men as well as women. It gives a black shade to the hair color and makes them attractive like never before. It comes in the market at an affordable rate and is easily accessible and available. It is an essential hair color for getting shine on the hair. Thus it comes out to be very handy in case of saving time as well as money. As far as its ingredients are concerned, it comprises natural ingredients like aloe vera and jojoba. No trace of ammonia and ppd can be found in this color. 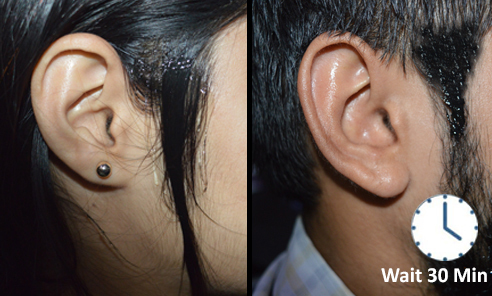 One thing that is quite assured is that it is an ecological hair color which is in much demand in today’s scenario. Spott hair color is efficient as it gives maximum output with minimum input. 1 capsule is sufficient to cover small areas. It consists of a pack of 20 capsules and each capsule is equally efficient. This color comes in a highly concentrated form and is very economical. The color it imparts stays for around 6 weeks. Being lightweight in nature, it can be used by people of varied age group. It is compatible with all types of scalp skins. First of all wear gloves. Now twist the capsule and put it in the measuring cup (given in the kit) and add 2.5 ml of water in the cup with help of pipette (available in the kit). 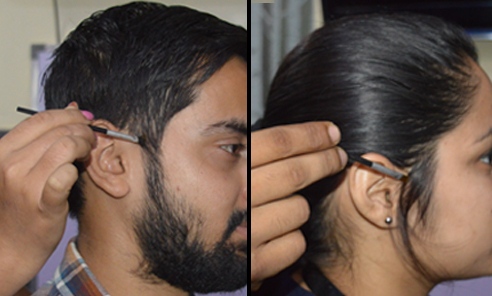 Use a cotton bud and soak it in cleanser. Then apply the cotton dipped in cleanser to the desired coloring area in order to make it ready for coloring. After the cleansing part, rinse the cleansed area with the help of water to remove all the traces of cleanser and pat dry. Then apply the hair color gently to the hair with a special brush. Leave the hair color for around 30 minutes there and keep it for a longer time for darker and stubborn hair. This allows the hair color to stay there for proper development. Now it’s time to use the cleanser to remove the color. Use cotton pad to rinse the cleansed area in order to remove all traces of hair color and pat dry. Natural Ingredients: •	Aloe Vera: It dissolves the dead skin cells and sebum which clogs hair follicles. It moisturizes and promotes the growth of hair. •	Jojoba: It soothes the scalp and hydrates the hair and removes dry scalp problems. 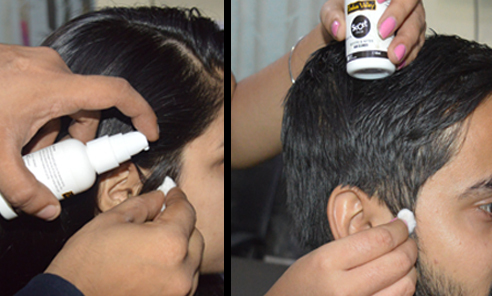 Used it first time from a friend of mine and the quality is as perfect as the indus valley gel based hair dye. As a middle-aged man, I am often asked to get ready for some occasion and then, I see my gray hair. That gray hair strands don’t suit the occasions. I used to mix a whole pack of hair colour and after using a little, it was wasted.